This book addresses two case studies of two large state-owned manufacturing companies in Libya. 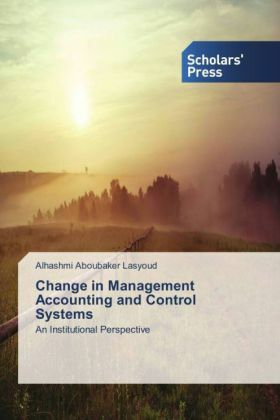 The study focuses on management accounting and control system (MACS) changes within the two companies. The study is motivated by the paucity of literature on management accounting practices in the developing countries in general and in Libya in particular. The case study approach adopted in conducting the present research was useful in exploring the dynamics of the MACS in the two organizations. Data were collected from three sources of evidence are semi-structured interviews, observations include the direct observation and the participant observation and various documents.New institutional sociology (NIS) perspective provided the theoretical framework to interpret and analyze the findings. The study also investigates the interplay between the institutional forces, market forces and intra - organizational power relationships. This analysis is essential to overcome the criticism of NIS that it downplays the role of market forces and intra - organizational power relations. The findings of the study have implications for understanding the operations of MACS in developing countries.